Few behavioral health providers can give you the kind of wisdom gained through more than a century of service. We deliver this every day, to every single life we serve. Our staff is special in another way too: We don’t look upon our work as a job…but as a calling. Driven by a passionate commitment, we see our lifework as empowering each life we touch to reach their full human potential. 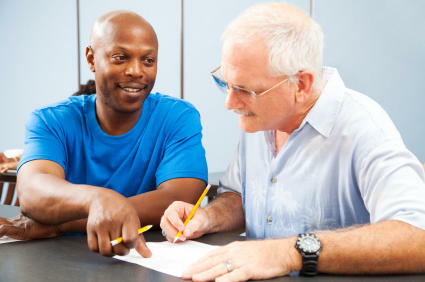 Volunteers of America's Behavioral Health Services uses a multidisciplinary team approach, so our clients benefit from the combined expertise of psychiatrists, psychologists, licensed professional counselors, social workers, residential program aides and case managers. All staff have the credentials, training and in-depth experience to work empathetically and effectively with the diverse populations we serve, whether the issue is securing permanent housing for a person with a serious mental illness or treating substance use disorders. Our staff know and understand the issues confronting the people we serve, and bring a rare depth of understanding, sensitivity and wisdom born of experience to each person and family they help.